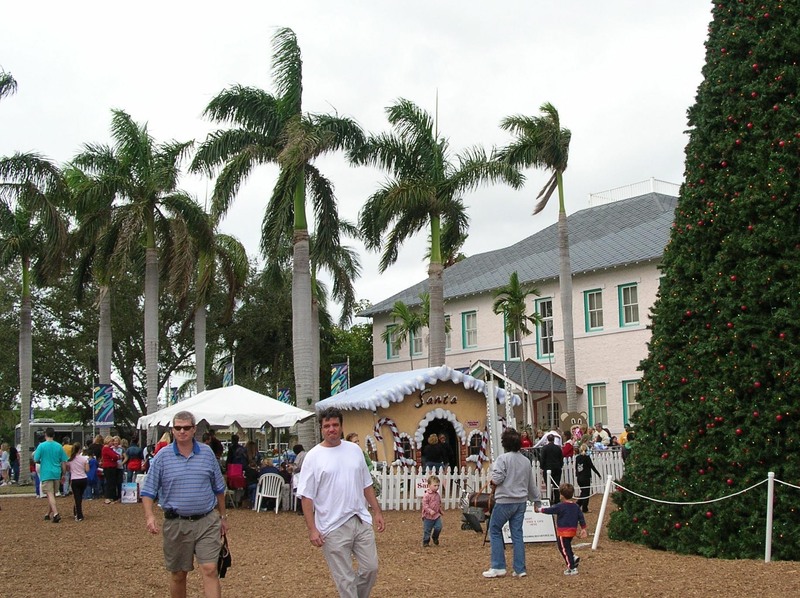 A holiday event at the The Cornell Museum of Art and American Culture, housed in the restored 1913 Delray Elementary School building. Delray Beach, Florida, (population 65,000) was originally named Linton after William Linton of Michigan, but was renamed in 1898 after he abandoned his settlement following a winter freeze that devastated the agricultural community. In 1911, the land west of the Intracoastal Waterway was incorporated as the town of Delray, and a new bridge was constructed to connect the barrier island with the town. The barrier island incorporated as the town of Delray Beach in 1923, and in 1927, the two towns united to form the city of Delray Beach. Following World War I, a period of prosperity began, and many were drawn to Delray’s mild climate. Accordingly, development flourished, and the number of full-time and seasonal residents increased. The city was also a popular destination for artists throughout the 1930s. Suburban development of the 1960s and 1970s had a negative impact on Delray Beach’s downtown, but in the 1980s, the city benefitted from historic preservation efforts to revitalize the downtown area. The Delray Beach Historical Society, housed in a 1926 bungalow, operates the 1915 Cason Cottage House Museum, a typical Delray Beach family cottage furnished to reflect the Florida lifestyle from 1915 to 1935. The society also relocated and restored Hunt House, a 100-year-old farmhouse, for use as a historical learning and resource center. The Cornell Museum of Art and American Culture is housed in the restored 1913 Delray Elementary School building. Another attraction, the Spady Cultural Heritage Museum, is located in a 1926 stucco Mission Style residence that was the home of S.D. Spady, an influential leader in Delray Beach’s African American community. The museum, in the historic West Settlers District of Delray Beach, is dedicated to discovering, collecting and sharing the African-American history and heritage of Florida. Delray Beach offers maps of local historical sites, preservation programs, trolley tours, and walking/biking tours throughout the city. Each October is Heritage Month, featuring a variety of events celebrating the town’s heritage and diversity. Designated a Preserve America Community in November 2008.